** This video only demonstrates the content curation and auto-posting features. New features and improvements are being made every day. Join us now to access to all the revolutionary features for automated social media marketing and change the way you manage your social media accounts! 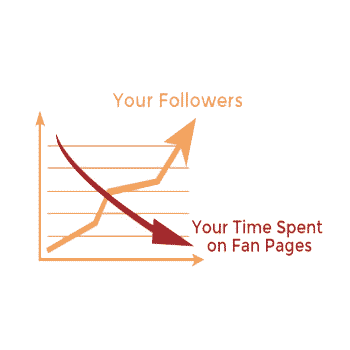 Fan Page Robot is the social media dashboard that many successful marketing firms use to manage and grow fanpages for their clients. More Followers - More Revenue - In Less Time! 4 weeks later: 200,000+ post reaches and 1,000+ new followers, that is 36 new daily followers! * Disclaimer: As with any business, your results may vary. Make your blogs and fan pages highly engaging with the web's newest and the most exciting content using any target keywords. Various content sources: Facebook, Instagram, Twitter, Tumblr, Pinterest, YouTube, Google, and even any specific websites and social media fan pages you want. Provides you with the most searched trending keywords on Google in the current hour. Notifies you when there is new, hot content on your keywords. You can directly post content from your inbox! Supports any languages you know. Sets you free from the chore of updating your social media networks. Completely automatic viral content discovery and content creation. Auto-posting from any sources and keyword-based search results to your blogs, websites and social media accounts. Auto-posting from your websites to social media accounts without any plugins. No plugin or installation required. Incredibly easy to use! A revolutionary method that allows you to place ads on Yahoo, Youtube, or any high authority web pages for FREE! The best kept secret among our users to skyrocket a business. You can use it to bring traffic to your website, grow your email list, increase your followers, promote or sell products. 100+ stunning and high-converting templates that help you set everything up in a few clicks. Design your own ads or lead pages with our simple yet powerful WYSIWYG and drag-n-drop technologies. No coding or technical skills required! Integrated with your email marketing programs: AWeber, MailChimp, GetResponse, iContact, etc. No additional costs or hidden fees. Only available at Fan Page Robot! [Did You Know] Tagging is vital to any social media posts. According to a research by Twitter, social posts with hashtags can increase engagement almost 2x for individuals and 1.5x for businesses. But did you use the right hashtags? Automatically generate and insert hashtags to your posts based on the picture you upload and/or the message you’ve composed. Help you determine which hashtags will be the most effective for your posts. Show you related hashtags and their average numbers of views, shares, and favorites on Facebook and Twitter. Maximize the exposure of your content. Research by Quintly, a social media analytics firm, found that Facebook native video posts are shared much more often than any other kind of content and they have average 62% more engagement than photos. But are you still manually uploading videos to Facebook? Save time and get better results with our Facebook autoposter! Automatically fetch videos from any top social media, video and news sites with one click. Upload videos to Facebook with the highest available quality. Knowing when to publish a post may mean the difference between it becoming an internet sensation and a big letdown. Our scheduler is as comprehensive as Google Calendar. Manage your social posts in a calendar view. Reschedule or duplicate your posts by easy drag-and-drop. Auto-determine the best time to post for your social media pages. The influencers can impact your business and help you create content that resonates with your audience. Discover the top influencers and competitors in your niche using relevant keywords. Spy on your competitors and research their campaigns. Generate long posts to fill your websites with SEO keywords. Help you create a blog category for social listening and media aggregation. Auto-create content and auto post to Blogger (Blogspot) without any addons and auto post to Shopify for SEO. A WYSIWYG visual editor is available for you to edit Wordpress, Blogger, Tumblr and Shopify blog posts. HTML is supported. Become a smarter marketer today and start to auto post to Facebook, auto post to Instagram without a phone, generate automatic tweets, automatically post from websites to Google My Business (GMB), automatically create posts on Google, Pinterest, Linkedin and Tumblr! 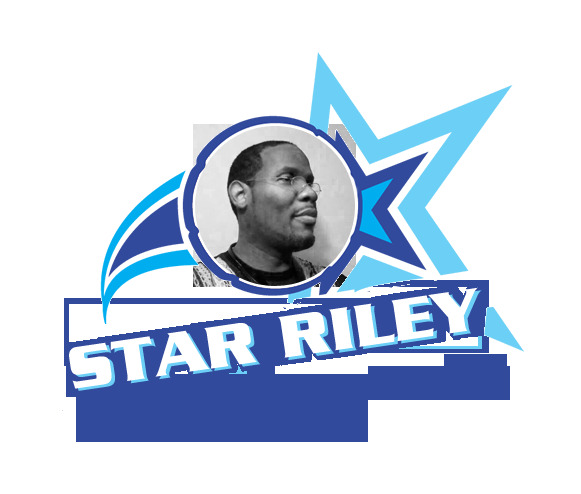 Fan Page Robot integrates all the largest social media networks on the web. You can connect every Facebook fan page or Facebook group you have with a Twitter, Instagram, Pinterest, Google My Business, LinkedIn and Tumblr account. As with our Wordpress and Bloger integration, when you post to multiple social media accounts, you can customize the text for each of them. Do you have too many social pages and groups but no time to manage them? Put them on the fully automatic mode, allowing you to save the time would otherwise spend finding topics and posting content. 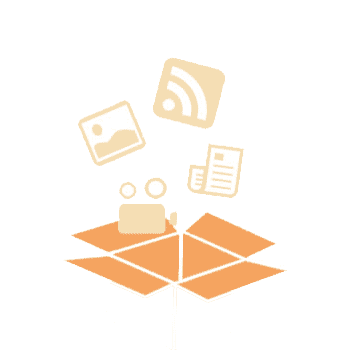 The content curation tool gives you only timely and compelling content. It will increase your users' engagement with your fan pages. The campaign building tool will boost your website traffic. Do you know we integrate with some popular platforms and networks that will give you instant dofollow backlinks? 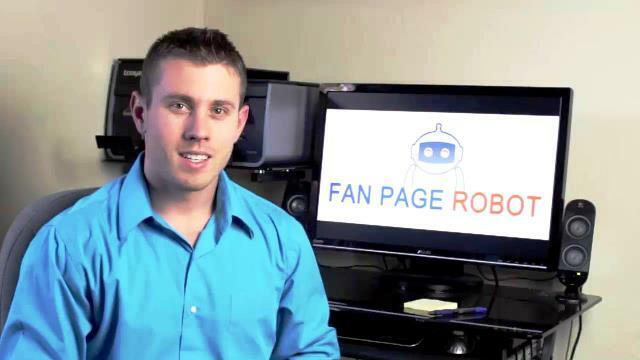 Fan Page Robot will help you boost your search engine rankings. There are no steep learning curves here. Our program is so simple that anyone can jump in and start seeing results straight away! 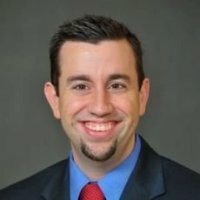 Managing social media accounts for your clients? 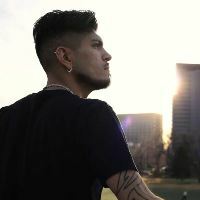 Got new fan page ideas? Build as many social pages and Facebook groups as you want with the Unlimited Plan. Fan Page Robot does the hard work for you! Unlike many other websites, we constantly add new features and all of them come with no additional cost. And you can cancel it anytime by yourself. Still unsure? 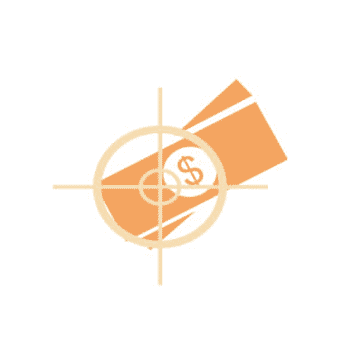 We provide a no-risk refund policy- no questions asked! It costs even less than a burger meal and will save you a lot of time! Incredibly easy to get started! "Fan Page Robot is a very cool system! It was incredibly easy to get started and attach my social media accounts. Within 10 minutes I had figured out how to work it and was already starting to generate content and post to pages and Facebook groups. 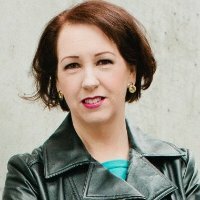 I am primarily a B2B company so I really liked the ability to post to all my accounts or select just LinkedIn depending on the content I was posting. This system makes managing my social media strategy campaigns much easier." Fan Page Robot is miles ahead of anything that "claims" to be comparable! "Amazing, this software should be required for anyone doing any real marketing, social media or content distribution online. My Hats off to the developer and client support is above and beyond the best I've encountered online thus far! The only possible complaint I have is once I started using it I lost all respect for other software developers I supported in the past! Being a JVZoo software buying junkey, I now realize that was all junk! Fan Page Robot is miles ahead of anything that "claims" to be comparable!" The support has been absolutely stellar! "I was looking for a social media management system that included Facebook, Twitter, Instagram and Google. It's difficult to find a system that will manage all four. The fact that Fan Page Robot does this plus manages Wordpress is an added bonus! The support from this company has been absolutely stellar. They were quick to respond, and sent me screen shots to walk me through what I needed to do. And the content curation feature makes finding and posting relevant content a breeze! I'm delighted!" "Fan Page Robot is impressive. My Twitter audience is growing daily and the quality of tweets even surprises me at times. My Facebook page makes me look darn good now thanks to Fan Page Robot. The potential to make money with Fan Page Robot is only limited by you. So far it makes me look good professionally and my network is growing. Yes customer service is awesome as well. I felt I must say something here as I hardly post in the forum." "I bought this program a week or two ago and it's been amazing! I spent most of my days on Facebook and only did Twitter once a week. Since using this program the last few days I've gotten 20-30 retweets- 30-40 new followers and more. To do the posts I do now on a daily basis and do it manually it would take me hours if not the whole day. Now I spend maybe 5-10 minutes and done. I currently use it for LinkedIn, Facebook, and Twitter... CUSTOMER SERVICE HAS BEEN GREATTTTT!" -- Robert, Drone Research Inc. ENTIRE week in just 10 minutes! "I’ve been looking for a social media tool that could do 1 simple thing, post to all of my social media accounts and keep them all organized. I even got so desperate to find a good tool that I started to develop my own Wordpress plugin to do exactly what FanPageRobot does. I’m overjoyed that this system does everything that I need it to. I have all of my social media posts lined up for the entire week for ALL of my accounts (Facebook, Instagram, Google My Business, Google+, Twitter, and Pinterest), and it only took me 10 minutes."